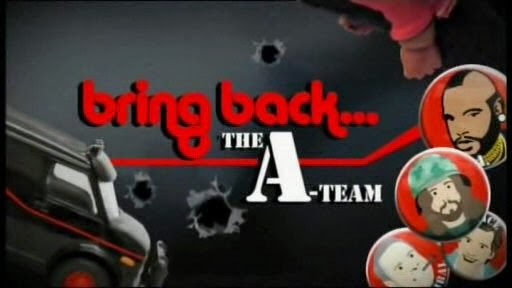 In 2006, twenty years after the A-Team was canceled, the British TV show "Bring Back..." attempted to reunite the surviving members of the cast. Host Justin Lee Collins and crew flew to Los Angeles to hunt down the actors and surprise them with a simple question..."would you be up for reuniting The A-Team?" As far as I know, this documentary is the most successful reunion of the cast. Justin manages to score interviews with Mr. T, Dirk Benedict, Dwight Schultz, (George Peppard died in 1994,) co-creator Stephen J Cannell, Marla Hensley, Jack Ging, plus many others joined the party at the Fryar's Club in Beverly Hills.